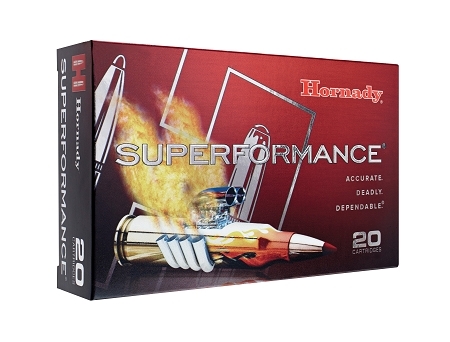 Superformance ammunition is loaded with proprietary propellants that increase the velocity ratings up to 200 feet per second compared to other popular brands. Because there is no increase in pressure, regardless of the caliber, there is no increase in felt recoil but there IS an increase in efficiency and high speed performance. 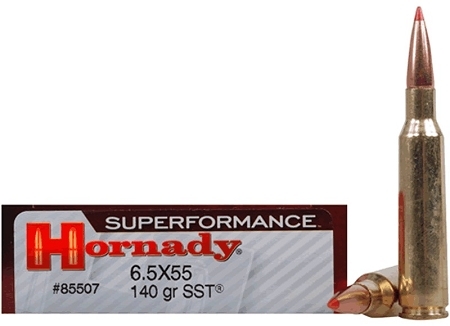 Super Shock Tip (SST) bullets combine proven Hornady performance with a higher ballistic coefficient than available with most hunting bullets. The sharp, pointed polymer tip creates a faster, flatter shooting bullet. With its one-piece core and jacket strengthened in critical areas, the SST delivers much more controlled expansion and superior weight retention than other tipped bullets. Featuring Hornady's trade mark Interlock ring system, this bullet's core and jacket remain locked solid during expansion, creating massive wound channels.